Samsung Galaxy Tab S3 was launched on Sunday and is the latest tablet from the South Korean company boasting a Super AMOLED display screen, but there’s more to this slate that you can imagine in terms of features, especially when compared to its predecessor, the Galaxy Tab S2. 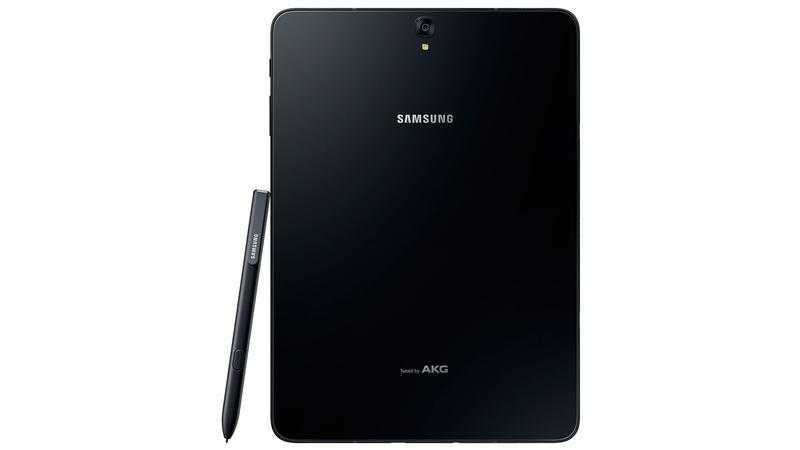 If anything, the latest Samsung Galaxy Tab S3 joins the flagship family of tablets with what it has to offer in terms of new features as well as design. There’s no doubt that this device was designed to impress – and it has succeeded in doing so. But just before you jump into buying the slate, here are the best three features of the Tab S3 that should make you want to grab one of these – be it the Wi-Fi-only or LTE model. One thing that Samsung Galaxy Tab S3 is definitely good at is audio quality. This is achieved thanks to the partnership that Samsung has now formed with Harman – a partnership that will not only bring AKG-tuned speakers to the Galaxy Tab S3, but also to the Galaxy S8 as well as future Sammy devices. In case you didn’t know, AKG is an audio company that is owned by Harman and as you may know, the latter was recently acquired by Samsung. The tablet has four speakers and each one of them is tuned by AKG. The quad speakers promise a more immersive audio experience than any of the device’s predecessors, especially when in a confined environment free of noise – like your home or room for that matter. While it’s not unique for a Samsung device to come in with a Super AMOLED display screen, what makes the Galaxy Tab S3 unique is the inclusion of HDR capabilities. This adds to the fact that AMOLED panels are still considered the best in the mobile industry. While you might still find it hard bumping into HDR content, you won’t miss a thing on platforms such as YouTube and Amazon Prime, but of course, this collection will grow with time. 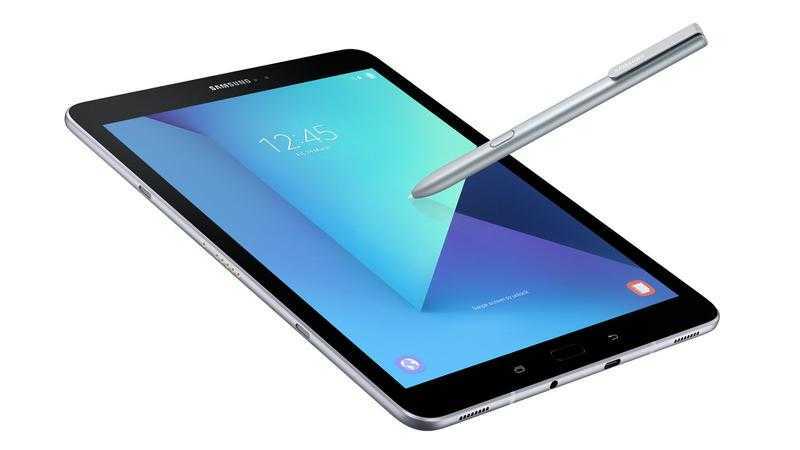 When Samsung Galaxy Note 7 died, many were disappointed due to the loss of the only S Pen-enabled device in the market, but the new Samsung Galaxy Tab S3 is here to take care of this issue. However, there’s no housing for the S Pen on the Tab S3 as we know from past devices such as Galaxy Note 7, Galaxy Note 5 and Galaxy Note 4. In fact, this is the first time the pen has been bundled on a Galaxy S device and maybe the same could happen with the Galaxy S8 and S8+. If you missed out on the S Pen on the Galaxy Note 7, the new one is of the same quality and features as what came with the dead phone. With the launch of Samsung Galaxy Tab S3, there’s no doubt that the South Korean tech company still sees huge potential in the tablet market despite many analysts predicting otherwise. These features, accompanied by a premium design that features a beautiful combination of glass and metal, are enough to prove Samsung’s intent in the market. Due to these premium design and features, the Galaxy Tab S3 gets a similarly premium price tag. Where the Wi-Fi-only model will be priced at 679 euros, the LTE variant will come in at a price of 769 euros – much higher than any of its predecessors. As you can see, these are European prices but don’t expect any huge changes in the price tags when the device hits the American market. So, what do you think about the new Samsung Galaxy Tab S3? Do you think there are other features that make it an even better tablet? Feel free to share your thoughts in the comments section below.